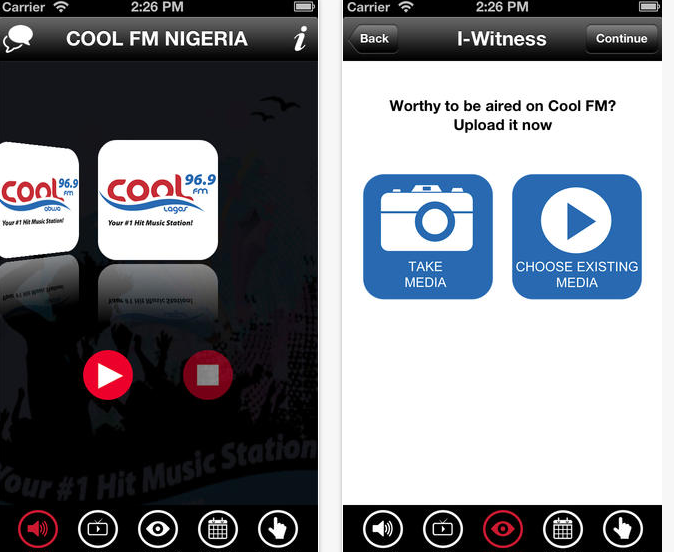 COOL FM is one of Nigeria;s most listened radio station with highest followers on social media. Cool FM, “Your #1 Hit Music Station”, is a Nigerian Music Station with a format of 70% Urban contemporary (UC) and 30% of Adult contemporary (AC) ranked between #1 and #4 overall, but #1 station in its format. Our core target audience is 15 to 45, having programs that attract other age groups also. Making you Feel Good is our mission, while We Lead & They Follow is our vision. Lagos 96.9 FM: Started operations in October 1998. Abuja 96.9 FM: Started operations in November 2001. Port Harcourt 95.9 FM: Started operations in November 2008. Kano 96.9 FM: Started operations in October 2011. With COOL FM mobile application, you can now get connected to the COOL FM family anywhere you are, share your ideas, opinion and get latest news updates delivered to you. Here are links to Download Cool FM app on your smartphone.